Have you ever had a harder time than normal getting plants to grow in your garden or notice that certain spots help plants flourish more than other places? These results could be due to what’s in your soil. If you’ve had problem areas or you’re just interested in getting your soil tested, you have quite a few different options, and some might even be free! If you live within Snohomish County, the Snohomish County Conservation District offers soil testing through A&L Western Agriculture Laboratories in Portland, OR. If you’ve never done it before, the cost is $18 and takes about 3 weeks to get your results. Snohomish County Conversation District even has a handy guide to get to know your soils and you can call them if you need help interpreting your soil test results. Happen to own a farm? You can receive a free soil test if you have a site visit with a Farm/Resource Planner. King County residents can get 5 free basic soil tests per property through the King County Conversation District. Any other soil tests after the first 5, are $20 each. You can look up instructions for soil testing here. Another place you can check out for soil testing is Simply Soil Testing based out of Burlington. Basic soil tests are $12 per sample and go up from there depending on how in depth of results you want. You can also purchase a prepaid sample kit if you find that easier, although it’s not necessary as you can submit samples with your own Ziploc bags. 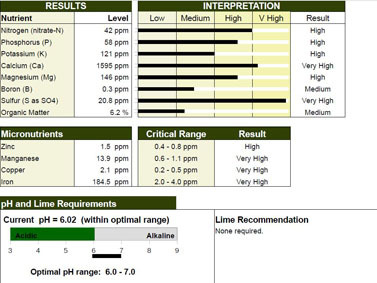 Once you get your results, you’ll be able to tell if your soil is more acidic or alkaline and what your pH levels are. Depending on the report you receive back, you’ll also know nitrogen, phosphorous, and calcium levels among many other nutrients your plants need to grow. All of this information will help you determine how much fertilizer you might need to use, if you need to add lime to your soil, and how all of your soil conditions might be affecting your plant’s growth. Have you ever had your soil tested? What did you find out? Let us know in the comments, we’d love to hear from you? Organized under Education, Garden Hack of the Month, Garden Maintenance, Garden Tips & Advice, Sustainability. 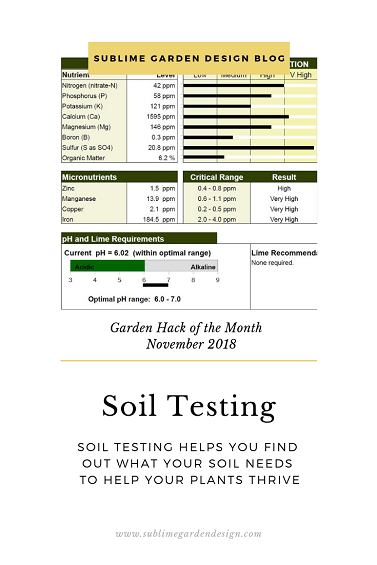 Labeled as garden hack of the month, garden hacks, garden tips, how to soil test, november garden hack, soil test results, soil testing, where to get soil tests. 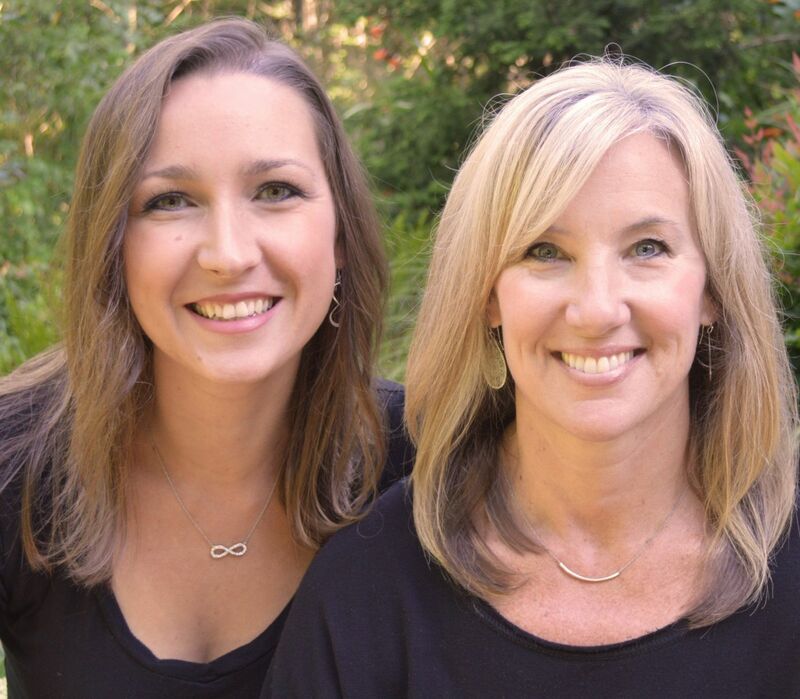 We’re glad you enjoyed and we hope it was helpful for you!